My natural Coffee scrub is made with: Ground Columbian Coffee, Organic Sugar, Brown Sugar, Sweet Almond Oil, Sunflower Oil, Vanilla Extract & Cinnamon. ♥ Benefits include WAKING YOU UP in the morning, and caffeine has been shown to reduce appearance of cellulite and vericose veins. PLUS coffee scrub works great on your hands after gardening or cooking with garlic & onions. ♥ To Use: Massage onto damp or wet skin for gentle exfoliation, then rinse. Do Not Eat. Shower may be slippery after use. If irritation occurs discontinue use of product. For use on body not face. 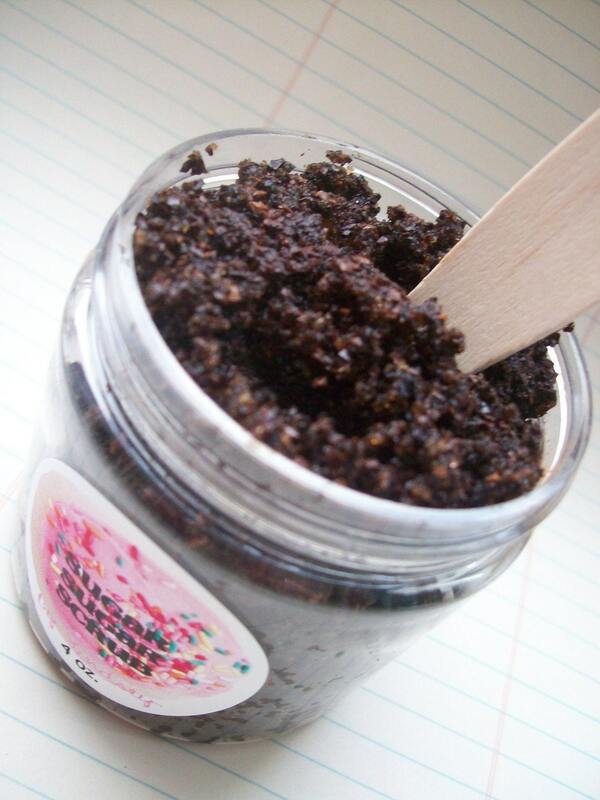 LOVE this coffee scrub! It is way better than any store brand I have ever tried, including Bath & Body Works. Great scrub - thank you! Fantastic scrub - love it!!!! HAPPY BIRTHDAY Cake Body Sugar Scrub - Vanilla Birthday Cake - Body Polish - Limited Time Scent - Cruelty free - Vegan Friendly 1 or 4 oz.